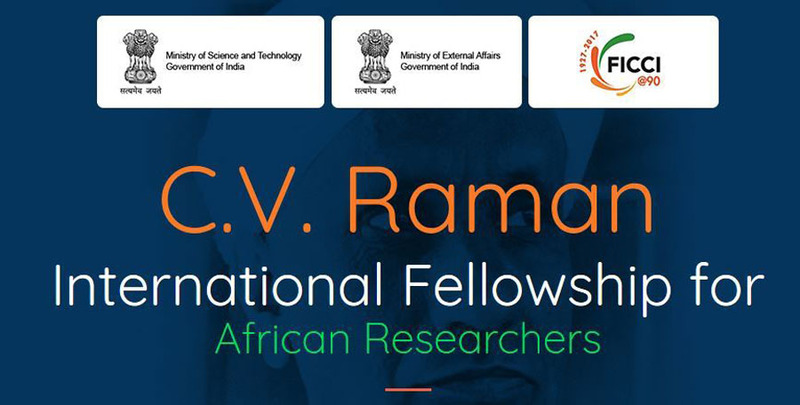 Department of Science and Technology (DST) and Ministry of External Affairs (MEA), Government of India (GoI), through the Federation of Indian Chambers of Commerce & Industry (FICCI) have launched the C.V. Raman Fellowship for African Researchers programme under the India-Africa. Forum Summit to promote human capacity building through scientific and technological cooperation between Africa and India. President of the University and Prof. Ashraf Swailam, Vice-President of the University for Graduate Studies and Research, from 9 am to 4 pm - campus.